For a while now i’ve noticed more and more bloggers are sharing their achievements, and it got me thinking that i’m so proud to be a part of this amazing community, but i’m also proud of what my blog has grown into. I see many bloggers down because they’ve lost a few followers or their posts aren’t getting much love, and it’s often hard to remember everything you’ve achieved from blogging. So I thought i’d share a few reasons as to why you should be proud of your blog. Since starting up this little blog of mine just over four years ago I never thought it would give me the purpose that it does, and although blogging daily like I once did or as regularly as I do now is no easy task especially when working full time. Having said all of that, I can’t help but feel some sense of achievement and pride in sticking at something for so long, something that a small selection of people actually enjoy and without sounding big headed i’m so proud to see how far this little space on the internet has come, and if you’re a blogger like myself you should also feel a sense of pride for these few reasons. Blogging brings so many new skills – One thing that in the beginning never occured to me was that blogging doesn’t really require any type of skill set to begin, and if like me many bloggers start out without knowing what they’re doing and sort of wing it with a little bit of help from google and other bloggers along the way. 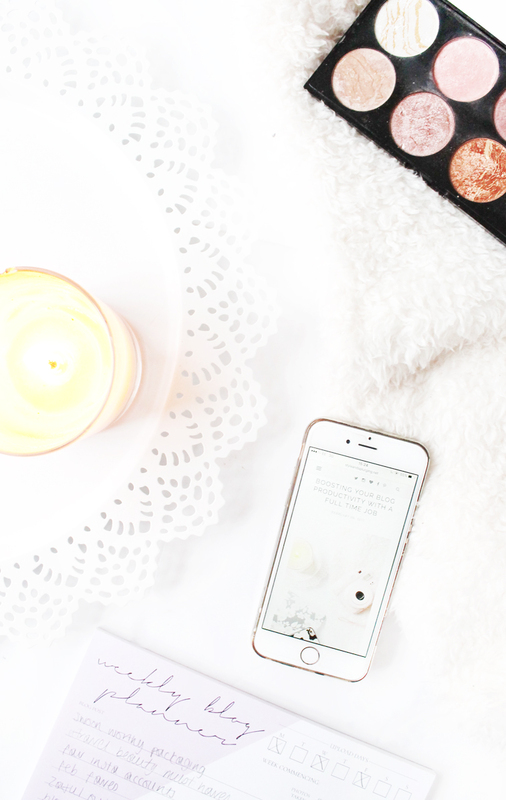 Looking back it’s amazing to see how much blogging has brought me in terms of skills that I can actually apply to my career or future opportunities, and it’s amazing that blogging can teach so many new things without even realising! Blogging opens you up to new opportunities – Back when I started blogging I never thought i’d find myself attending events where i’d get to meet brands, new and old, and also fellow girls and guys that also pour words onto a screen for others to read and love. Also getting the opportunity to work with brands is something that still blows my mind, and is something I will always be grateful for. Blogging is also something that has always gotten a positive reaction to when interviewing for jobs, especially with blogging being something new and upcoming, people are definitely interested to know more. Hard work will always pay off – Whether it takes you a few months or even a couple of years working hard towards something will always pay off, and the same applies to blogging. In my experience of many things, not just blogging, if you’re not dedicated to something it will most likely not work. For a good year I just plodded along with my blog and I didn’t really get anywhere with it because I wasn’t dedicated, my heart wasn’t in it and that was okay. Since I began dedicating more time and working hard to get my content back on track i’ve seen first hand how far you can come, and don’t get me wrong i’m not blowing my own horn because it was bloody hard, but it definitely does pay off in the end. You grow and learn so much about yourself – For me personally blogging has improved my confidence so much! I was always the shy girl who never really spoke about the positive things in my life and I never thought i’d find myself attending events, meeting new people and doing things that were outside of my comfort zone. Whether blogging grows your knowledge or makes you care less about your flaws, for me putting your heart into a hobbie will always allow you to grow in some way. So those are a few reasons why you should be proud of your blog, as I come across so many bloggers who somewhat hide, or are embarrassed to tell their friends and family about their blogs (which is totally fine, you do you boo) but in reality you shouldn’t be embarrassed. Blogging is an amazing thing and gives you so much more that many people think.